Hi Folks. Thought I would get a crack on. There is a lot of catching up to do so I will go back to the beginning. In early September I headed out of Australia on assignment to north China, Jilin Province. As it turned out the late Autumn weather was a beauty, air was clean and the temperatures fine, both in Shanghai and in Liaoyuan. I got into Liaoyuan and settled in, got some great pictures of the general scenery with the full moon - then we went out of town for a break for the Autumn Festival long weekend at the end of September and someone broke into the Villa where we stay and knocked off a bunch of everyone's stuff including my camera. So I lost all those photos. 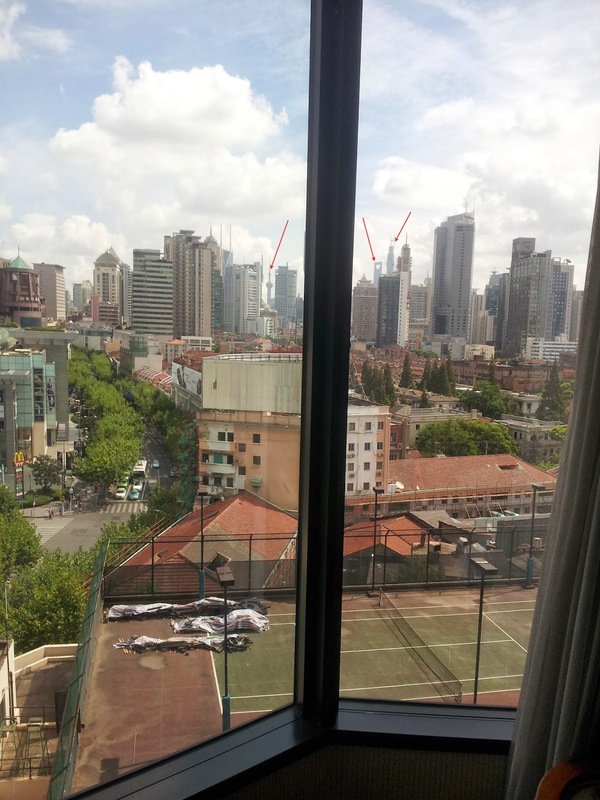 Anyway, back through Shanghai at the beginning of October and the weather is brilliant, visibility is off the scale, Here's a camera pic, showing Pudong side from my hotel room in Nanjing Xi Lu - from left, the Shanghai Pearl, the "bottle opener" and the new Shanghai Towers (sic).